These pancakes are for men only. They’re designed to broaden men’s shoulders, widen their chest, expand their lats, thicken their legs, work on that six (going-on-eight) pack, and create that chiseled drop-dead-gorgeous man-physique that women swoon over. They also build both upper and lower body strength. You may be wondering how this is possible, they are just pancakes after all. Well, let me tell you their secret: they contain regular whey protein powder. That’s right. The kind of stuff that, if ladies eat, will turn them into Hulkian versions of themselves. Ladies, if you’re reading this, please substitute the whey protein in the recipe for a women-only powder. You want to work on toning, sculpting, and muscle elongation after all – you don’t want to wake up one day with man-arms and look in the mirror to find a heavyweight male staring back! So stay away from regular whey and look for the ‘women-only’ tubs of protein. You’ll spot them right away because they’re pink. Oh, what’s that? Women-only protein powders are a lot more expensive, you say? Well, of course they are! They’re special. They’re made just for you! Blend all ingredients together and panfry on a nonstick pan. Cook them, flip them, plate them, and that’s it: your man-protein pancakes are now ready to be demolished by your man-jaws. But OK, OK, let’s rewind a little. You may be thinking my introduction to the recipe sounds ridiculous. I hope you do in fact! But let me tell you: this is the line of reasoning that supports the marketing and sale of women-only protein powders. They’re out there and I keep seeing them, ignoring them, then seeing them again and getting outraged. It’s actually not easy for me to write this without resorting to a tirade of abuse against marketers but… hey, let me try, OK? OK. I just think it’s time we take a stance. Someone in the industry once told me that women-only protein powders are a good thing because they’re a ‘gateway’ for women to try protein powders proper. She said that they provide a ‘safe’ environment for women to dabble into the world of protein powders. She said that after buying women-only protein powders, women feel ’empowered’ to buy regular protein powders. What can one say really? The whole thing is absurd. As absurd as protein pancakes for men, as absurd as the idea that protein powders de facto GIVE people a muscular and/or lean physique. They don’t. You know what does? Weight training, an intelligently-designed diet, heaps of patience, lots of perseverance, the willingness and openness to fail in the process to succeeding, motivation, focus, self-discipline, determination and DRIVE. 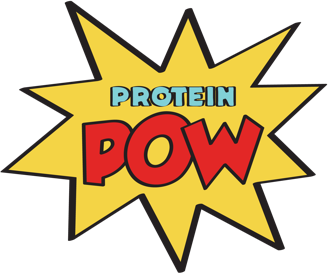 So join me in the fight against women-only protein powders, will ya? Because it’s time we educate women instead of remain indifferent to the growth of women-only powders which feature the exact same stuff as regular powders do (and sometimes of inferior quality!) yet come packaged in pink and cost five times as much. And while we fight against this, hey! let’s keep on lifting heavy stuff at the gym, cooking our protein (in this way fighting against this other piece of nonsense), and enjoying our protein pancakes – no matter what our gender may be!